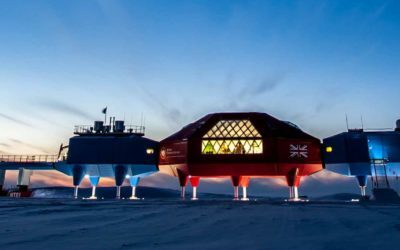 A medical doctor, based at the most southerly UK research station in Antarctica, is about to embark on a new campaign of life science experiments to study how people adapt to life in remote and isolated locations in preparation for prolonged space flight. One of these experiments, set up in collaboration with the European Space Agency (ESA ), involves staff at British Antarctic Survey’s (BAS) Halley Research Station being tested using a specially designed spaceflight simulator over the austral winter. 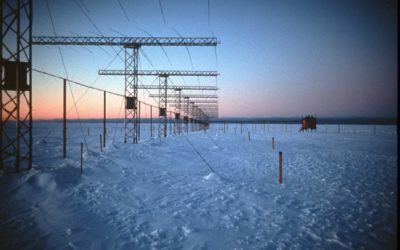 The experiment aims to investigate how well previously trained skills are maintained over the nine months period of the winter, being completely isolated and in the dark for four months. Crew members are currently being trained in the simulator (similar to the one used for astronaut training in the European Astronaut Centre in Cologne, Germany) to perform a docking of the Soyuz spacecraft to the International Space Station. 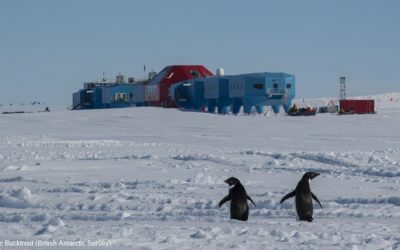 Halley Research Station is home to between 13-52 scientists and support staff (depending on the time of year) and is located over 10,000 miles away from the UK. It is about to embark on winter and will experience temperatures as low as −50 degrees Celsius and more than four months of darkness. 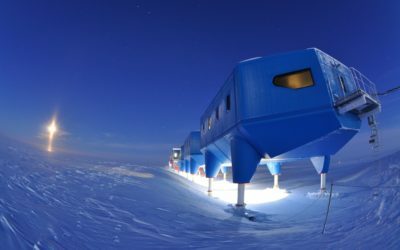 The Halley crew will live in the same conditions as the teams being studied at Concordia — a joint French/Italian station, located on the other side of the continent — except they will be at sea level. Their colleagues at Dome Concordia live at 3200 m above sea level, which, in terms of lack of oxygen, corresponds to an altitude of approximately 3800 m at the equator. One of the other projects running over the next nine months will involve the team members recording themselves in a video diary. This will be analysed via an computer algorithm through parameters such as pitch or word choice, that will provide a new window to objective monitoring of psychological status, and thus adaptations to the stresses of prolonged space flight. Doctors at three of the British Antarctic Survey stations (Rothera, King Edward Point & Halley) and on the RRS James Clark Ross are provided from the BAS Medical Unit, which has been based at Derriford Hospital, Plymouth Hospitals NHS Trust since 1997. It is tasked with providing a comprehensive medical service to BAS for its operation in the Antarctic. The unit employs, trains and deploys four doctors per year to the BAS research stations and ships.  During their time with the unit they are able to undertake an Msc in remote and global health care through the Medical School at Plymouth. Around 550 people are medically screened for work south every year. A constant emergency medical advice and support service is provided through the Emergency Dept with support from numerous other specialities. The unit provides dental screening and back up through the Dental School at Plymouth. The units clinical lead is Dr Anne Hicks, Consultant in Emergency Medicine. Nathalie Pattyn, the doctor at Halley Research Station is on secondment from Vrije Universiteit Brussel where she is a professor of biological psychology. The mobile spaceflight simulator at Halley Station has been designed by the Institute of Space Systems (IRS) of the University of Stuttgart. The IRS hosts a Soyuz simulator that closely mimics the one used for astronaut training in the European Astronaut Centre in Cologne, Germany. For the Halley project a smaller portable version of this simulator was designed and transported to the station.